Torn down many years ago, this school was behind Unionville Cemetery, near the former Unionville Friends Meeting, more recently East Lynn Grange and now part of Grace Fellowship Church. 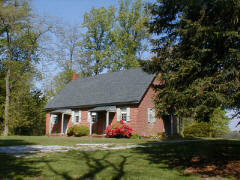 The photograph is used courtesy of Chester County Historical Society, West Chester, PA. It was donated to the Society by Miss Elizabeth Peirce, who wrote the names on it. Older residents will remember Miss Peirce, who lived in Unionville and was a long-time second-grade teacher in Unionville Consolidated School. A East September 1897 news item reports that Miss Jennie Lamborn was “one of Chester County’s faithful teachers for over thirty years.” She was about to move to Colorado, to make her home with her sister. 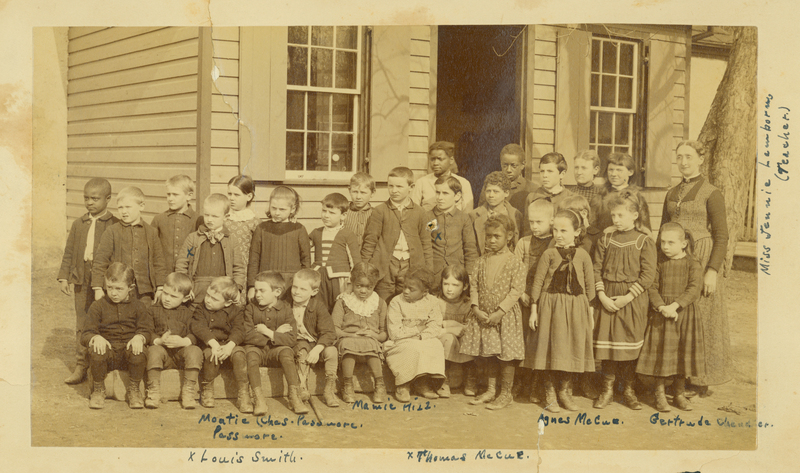 East Marlborough Historical Commission would appreciate any identifications of students in this photograph and any further information about the school, teacher, or students. Please submit your feedback about the Web site!